Anglers ready for their closeups on Facebook Live! Ben Hart is ready to go! All smiles – ready to go! I’m ready to go – When do we take off? 1 + 1 = Tuna! We are in the yellowtail zone! 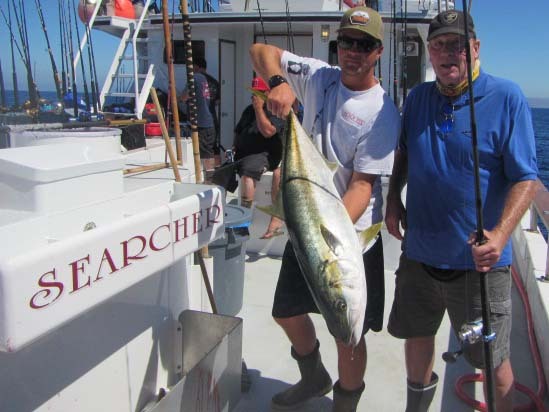 There’s a 28# yellowtail at the end of Jeremy’s line! Abundant yellowtail and beautiful weather, check!